More than 300 Milwaukee area couples renewed marriage vows at area churches on Sunday. 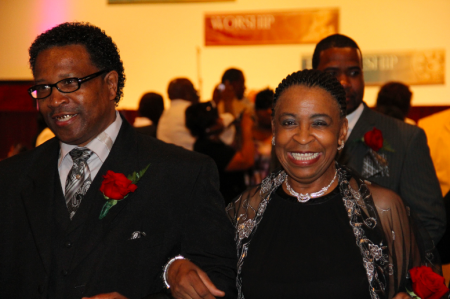 The recommitment ceremonies, held at five local churches, helped to celebrate National Black Marriage Day. The Milwaukee event was coordinated by Compel Them to Come, Inc., a local agency serving African American families. The celebration capped off a series of workshops aimed at promoting healthy relationships among African Americans as well as the advantages of marriage, according to Compel Executive Director Angela Robbins. Right now only one-third of the city’s African American families are headed by a married couple, according to the organization’s website. Robbins said Milwaukee was one of 300 cities across the country celebrating the National Black Marriage Day. Nisa Muhammad, founder of National Black Marriage Day, stressed the importance of marriage when she addressed the Milwaukee couples at a community reception after the ceremony. Muhammad offered the re-newlyweds her congratulations.